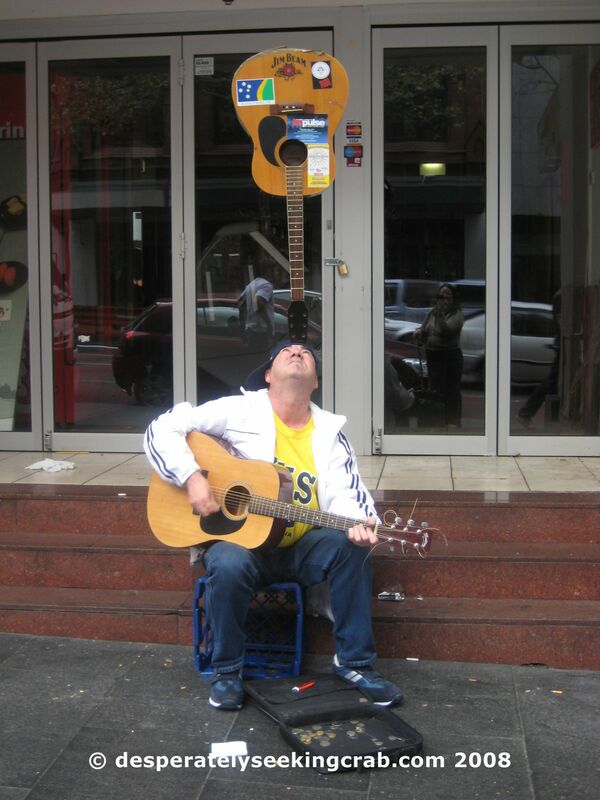 Sydney busker doing an impressive balancing act on his forehead! 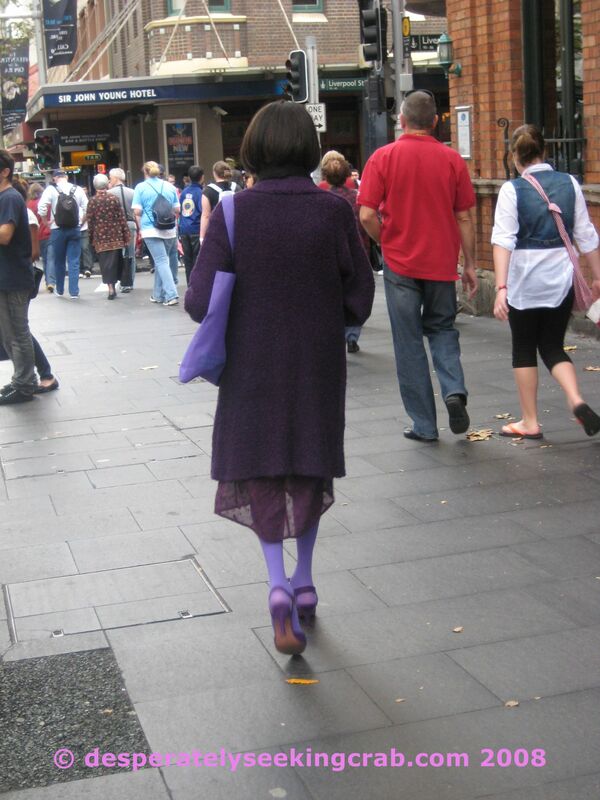 It was too rude to take a photograph of her from the frontal view but it’s amazing, she had on purple everything!! Including her hair clip, her earrings, her eyeshadow and her lipstick and as you can see, all her clothing! It doesn’t look at unusual or interesting in the photo…I guess you had to be there to understand.